With over 600 LED lights, the USS Chafee has become the first US Navy ship to be all-LED lighting. 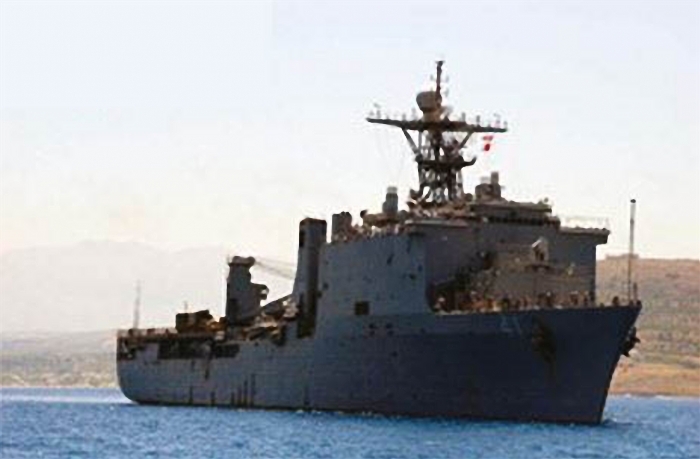 Energy Focus, Inc. a provider of energy-efficient LED lights based in Solon, OH, has provided more than 600 new LED lights for installation on USS Chafee. The Naval Sea Systems Command (NAVSEA) provided additional details including the new fixtures 50,000-hr lifespan compared to the 1,000-hr for the incandescent globe lights and 7,500-hr for the fluorescents they replaced. The ship is estimated to save more than $50,000 per year using the newest LED lights. Savings are expected to exceed $100,000 per ship per year when the scope is expanded to include T12 fluorescent fixtures. NAVSEA also reported that, the USS Preble is expected to receive the same fixtures as well as LED lamp replacements for the ships two-foot fluorescent fixtures, which are the most common lighting on DDG 51-class ships. "The 600 LED lights Energy Focus provided include fixtures using our IntelliTube single LED waveguide technology to replace fluorescent berth lights as well as a range of advanced LED globe lights to replace existing incandescent globes,” said Roger Buelow, Energy Focus CTO. In a separate announcement, Energy Focus stated it has completed a revolving credit of up to $4.5 million with Rosenthal & Rosenthal, Inc. This new agreement is a three year secured revolving line of credit to which Energy Focus may borrow up to $4.5 million, subject to periodic adjustments based on company assets.